Mobile Wedding DJ Based in Central Iowa. Nick performed at our wedding this past Saturday and I could not be happier with our choice to hire him. I had attended a wedding that he performed at in 2015 and I knew nobody there except for my immediate family...it was the most fun I had ever had at a reception. I was so happy we could book him. 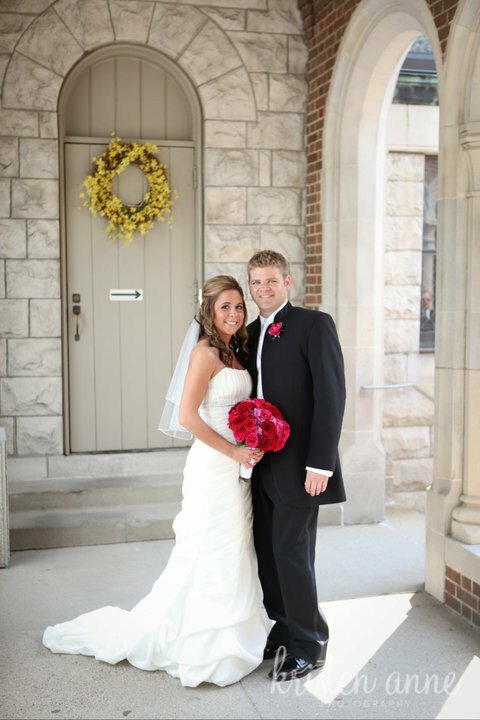 He was incredibly easy to work with throughout the entire planning process and made both my wife and I feel very comfortable when we met with him ahead of time to talk about ourselves and the type of reception we envisioned. He also does a great job with a website that helps both the couple and him plan out the evening and he does a great job of allowing the couple to choose songs but not feel overwhelmed at the same time. The wedding reception was unbelievable. This was probably the part of the day I was most concerned about because I cared more about people having a great time than admiring our decorations. Nick did not disappoint! He has an amazing feel for reading the crowd and knowing exactly how to get everyone involved. All of our guests, from the 6 year-old kids to the grandparents were on the dance floor for hours. I KNOW we had so many people still dancing at our reception for the last song because of Nick. We had such an interesting mix of people that did not know each other, and they ALL danced together and had an amazing time! I know that a lot of people say this about their weddings, but it really is true: we had SO many people say that our wedding reception was the most fun they had ever had because of the DJ. We didn't have any crazy decorations, insane bar tab, or amazing take home gifts. We just had the best DJ we could have asked for. We can truly say it was the best day ever and the most fun we have ever had, and I think Nick is a big reason why. If you're looking for an amazing talent and person to work with, Nystrom Productions is the obvious choice. Thank you so much, Nick, from Michael and Kristen Collison!!! We have been to several weddings since ours and there hasn't been a DJ that has come close to the performance you provided at our wedding! We can't say thank you enough. At the last wedding we attended we talked specifically as to how thankful we were that Nystrom Productions was at our wedding!